NPN (Next Protocol Negotiation) and ALPN (Application Layer Protocol Negotiation) are both TLS extensions. Since https, SPDY and HTTP/2 operate on port 443, the client and server need to negotiate what application layer protocol, plain http/1.1, SPDY or HTTP/2 to use after SSL/TLS secure connection is established between client and server. 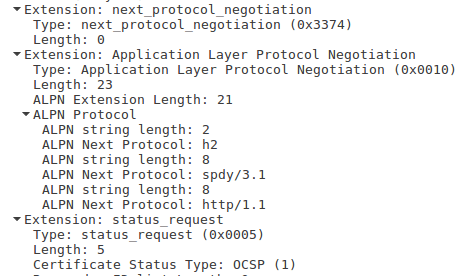 SPDY uses NPN to negotiate application layer protocol whereas HTTP/2 utilize ALPN to negotiate. In order to understand the difference between NPN and ALPN, you must have a basic understanding of how SSL/TLS handshake works. 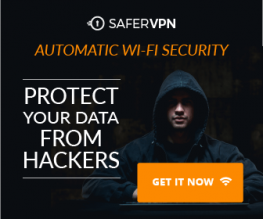 Both NPN and ALPN are used when client and server are establishing SSL/TLS connection. 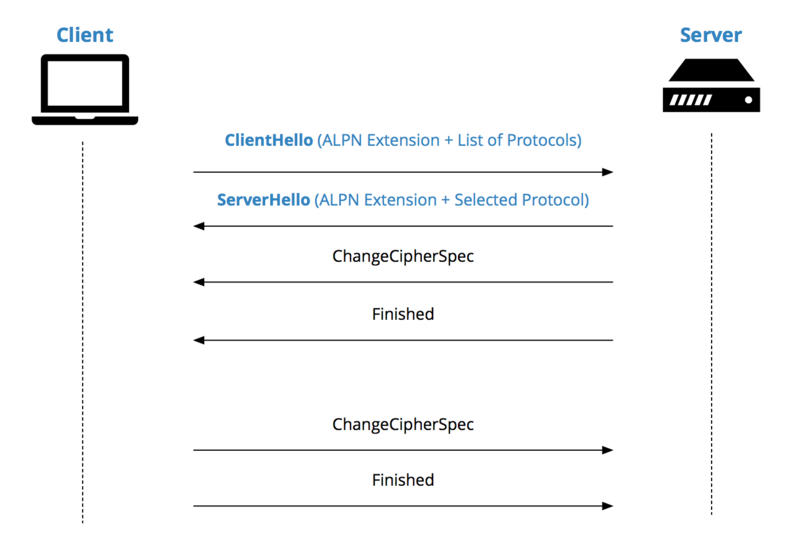 ALPN avoids an additional round trip because the client list the application layer protocols supported by the client in the client hello message. The server choose a protocol and includes it in the server hello message. In NPN the server list the supported protocols in the server hello message and let the client to choose. ALPN is a successor to NPN. The following screenshot of wireshark capture shows that the client lists three protocols h2, spdy/3.1 and http/1.1. And this screenshot of wireshark capture shows that the server choose h2 as the application layer protocol. ALPN is used in HTTP/2, so first you need to enable HTTP/2 on your server. Check out the following post to see how it’s done. After you enable HTTP/2 on your site, go to https://tools.keycdn.com/http2-test to check if ALPN is supported by your server. If your server does not support ALPN then you will see No ALPN negotiated. If your server supports ALPN then you will get ALPN protocol: h2. Once you have OpenSSL1.0.2, you should link Nginx with new version of OpenSSL. go to the HTTP/2 test page again, you will see that ALPN is supported by your server.